TestMasters LSAT Prep course was designed by Robin Singh, who scored in the 99th percentile for a record number of 12 LSAT exams. As an undergraduate, Singh realized that the LSAT is a skills-based test. You can learn to use his strategies in the live course, which is offered at more than 100 locations in the U.S., or you can watch the master himself in the online, video-based format. The company’s database of flawed reasoning methods and a quiz feature that builds LSAT vocabulary are just two of the useful features included in this course. Singh teaches in a friendly, upbeat manner, and provides in-depth explanations and tutorials in more than 100 hours of high-definition videos. A 2-day live weekend course is also available for those who are pressed for time but want to take advantage of an in-class experience. The TestMasters extensive library of study material gives students ample opportunity to fill the recommended 10+ hours of study per week. The course includes 7,500 questions released by the LSAC, and more than 5,000 of these have written or video explanations. A Research and Development team updates study materials every year and adds new videos to the online course. There are no simulated questions in their materials; every question comes from an actual LSAT. 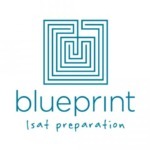 TestMasters LSAT includes detailed diagnostic scoring. Students are given full-length diagnostic exams under timed conditions. The online scoring system immediately generates detailed score reports that categorize each question by type to help identify areas of weakness. The score reports also indicate the relative difficulty of each question by revealing the percentage of students who selected each answer. A Virtual Proctor tool times the sections of the exam to help students gauge their progress. If you need extra help, TestMasters offers online and telephone tutoring for $100/hour. The hourly rate goes down if you choose a tutoring package of 10 hours or more. For a slightly higher price, TestMasters also offers in-person tutoring in various locations, which may be useful for those who are taking the online course and would like additional, more personalized help. This unique feature contains information and examples of the traps you must avoid when you take the LSAT. Detailed descriptions of incorrect reasoning techniques and LSAT examples that exhibit a particular flaw help students learn to identify and avoid similar pitfalls on their own test. Students can choose a course based on the date of their exam, and most courses begin about 10 weeks before the exam. Those who want to begin studying sooner or need more time may be out of luck. This course comes with many state-of-the-art online course features, but it is not as flexible or portable as some of its competitors. If you have online access, you can watch the videos and play the games. There also isn’t an option to preview online features on their website. Students will have to buy the course before they can explore various features. Students hoping to crack the code of the LSAT by learning tips and tricks from the master (or from expert instructors) will find this course compelling. Those who prefer a classroom setting with the interaction between instructors and students will benefit from the live version of this course. Students short on time can take advantage of the shorter, live weekend course or the online format. The online course option is the most flexible option for those who aren’t interested in travelling to a physical location 3-4 times a week for the 4-hour sessions. Although lesson plans are provided, students in the online course will have to discipline themselves to watch the videos, complete the homework, and the diagnostic tests on their own. TestMasters offers a full range of LSAT prep options. Students have the flexibility of choosing from live sessions and the online course, taught exclusively by the course’s founder, Robert Singh. A nice option for those who want an intense, shorter experience is the 2-day live weekend course for $450. Unique online features include a database of flawed reasoning, detailed test diagnostics, a vocabulary-building quiz, and an LSAT search engine to locate specific questions in a few seconds. Although the limited access to course materials is not ideal for students who need additional time to study, the strategies, tips and tricks learned in this course will help students think like the test-makers and avoid common pitfalls. Includes: 4-hour classroom sessions several times a week, diagnostic and practice exams, personal coursebook with all released (7500+) LSAT questions arranged by type, access to all 15 video lessons taught by Singh, Online Resource Center, thousands of written explanations for each section, detailed test diagnostics, access to database of flawed reasoning, LSAT question search engine, vocabulary-building quiz. Includes: 15 lessons in 100+ hours of high-definition videos taught by course author Robin Singh, coursebook with all released (7500+) LSAT questions arranged by type, diagnostic and practice exams, Online Resource Center, thousands of written explanations for each section, detailed test diagnostics, database of flawed reasoning, LSAT question search engine, vocabulary-building quiz.